Connor's been going through this stage where he sees his sister putting on princess dresses and little heels and wants to do the same, but of course my husband wants none of that. 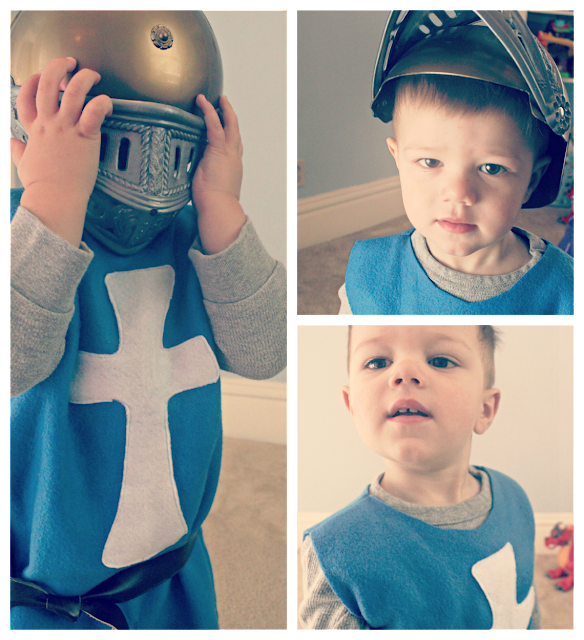 I'm hoping this little tunic will become one of his new favorite dress up outfits! 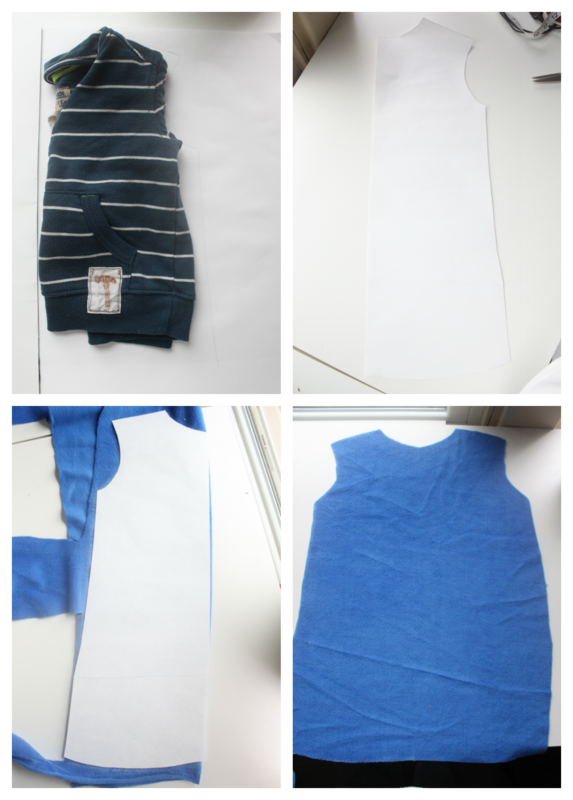 SUPPLIES: shirt to use as a template, paper for your pattern, fleece for the main fabric, 1 sheet of white felt, leather scraps, sewing machine and supplies. TWO: cut out your template. THREE: fold your fleece in half, right sides together. 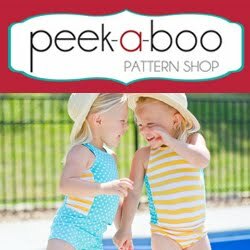 Place your pattern on the fold and trace around with chalk or disappearing ink marker. FOUR: cut out and unfold your fabric. This is your back piece. Repeat to get your front piece but cut the neckline lower for the front. FIVE: cut out a cross from some felt. 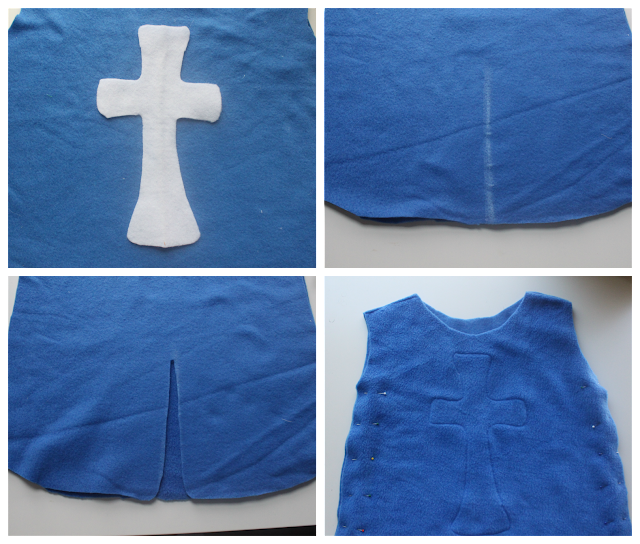 Pin to the front of the tunic and sew around the edges to attach. SIX: on the bottom of your tunic, find the middle and draw a line several inches long. SEVEN: cut a slit as shown in the picture above, making sure to round the corners on the bottom. EIGHT: pin the shoulders and sides together and sew the sides and shoulders only to attach. 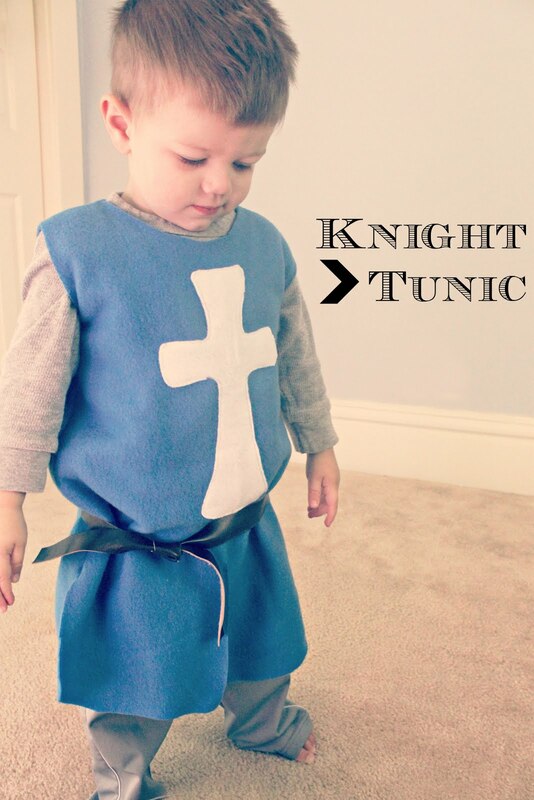 Turn your tunic inside out and that's it! Again, since the tunic is made of fleece the edges won't fray, so I didn't bother hemming the bottom or finishing the neckline or armholes. For the belt, I simply cut a long strip of leather long enough to tie around his waist in a knot. Oh cute! 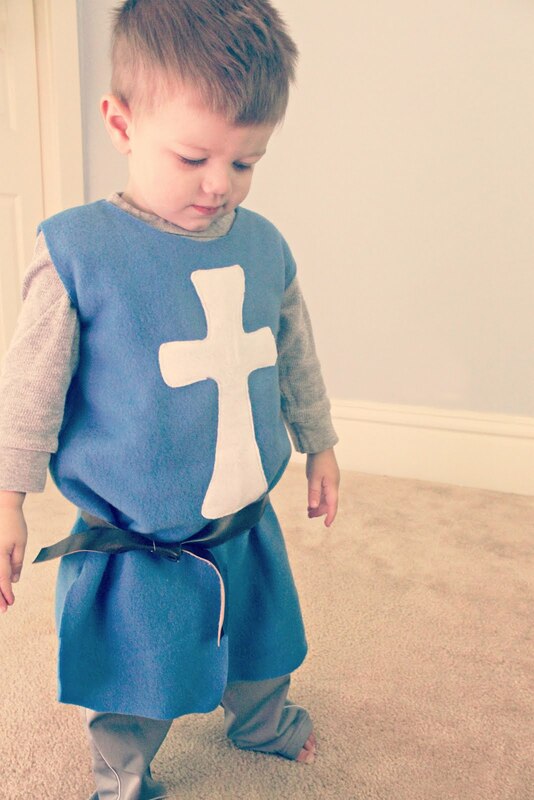 I know my son is studying medieval English history next year at school and needs a dressing up outfit for a castle trip, so I might use your post as inspiration. Pinning! Thank you so much. I was intimidated when told I had to provide a felt tunic for a school play, but the step-by-step gave me much needed insight!